Get the lowdown on studying a postgraduate program in the United States of America with our key information on admissions, applications and visa requirements. Plus, we have essential guides to the different states of America from Arizona to Washington to help you select the best place to study. Find out what is involved in studying a postgrad program in the USA with our essential advice. There are plenty of great universities to study at in America – we take a look at the different types and how to choose the right one. Find out how US rankings figures can help you learn about the merits of the different universities and law schools in America. Sorting out your visa as a postgraduate student in America needn't be confusing if you read our helpful advice. Want to find out what the different states in America are like to live and study in? Read our state-by-state analysis NOW! Get the latest lowdown on tuition fees and living costs for international and domestic postgraduate students in America. Whether you’re coming to America from overseas or have opted to study in your home state – we have the information you need. Do you need to access some more info about studying in America? If so we have some useful websites to help you. 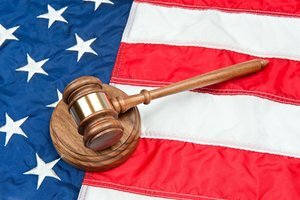 Do you want to study a postgraduate law program in America? We have all the information you need on US law schools and the different types of postgraduate law program that you can study.